Have you ever stared up at a massive suspension bridge in pure awe, captivated by the immaculate design that makes this great feat of engineering possible? We’ll, today it’s time to turn the tables and put your skills to the test! Build a Bridge! is a game that doesn’t really need an introduction. (i.e. 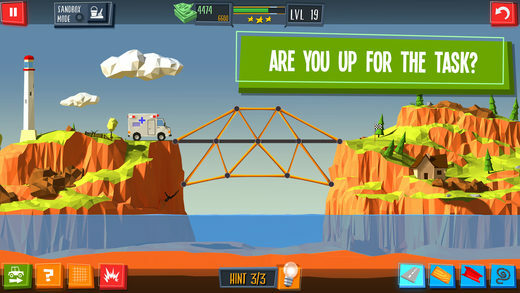 the name quite literally explains itself…) Set on the edges of two large masses of land divided by a large body of water such as a creek or river, your mission in this game is to Build a Bridge! If these limitations discourage you don’t worry! Once you clear a stage with 3 stars you can unlock a sandbox mode with unlimited resources and funding! 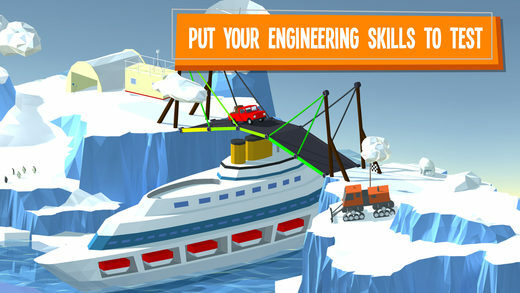 Let your inner engineering genius go ballistic! 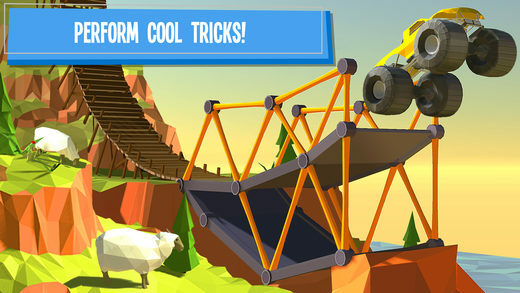 If your dream is to one day create the amazing suspension bridges real people travel on, Build a Bridge! is a game you “need” to have played! 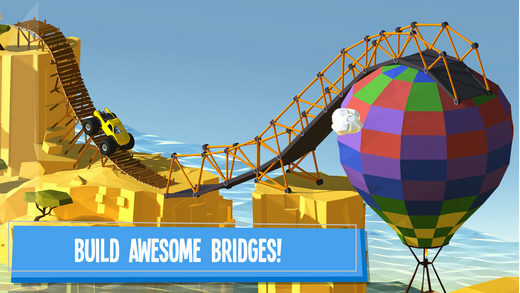 With a minimal number of ads, realistic physics, and an abundance of levels you can play and test out your skills, Build a Bridge! 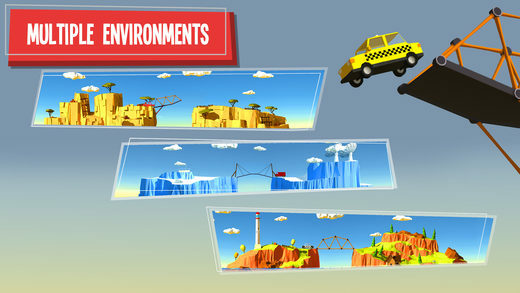 is one of, if not the coolest construction type game we have ever played!